Getting ready for an airplane trip? It’s crunch time. Seats on airplanes are getting smaller and closer together. That’s how it feels when you settle into your economy seat on most airplanes. 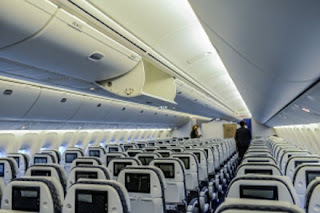 These days the average economy seat pitch (distance from any point on the seat to the corresponding point on the seat in front or back of it) is 30 to 31 inches on the three major U.S. airlines—American, Delta, and United. 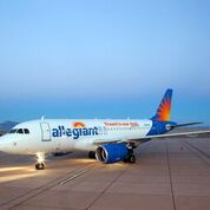 Low-fare airlines like Allegiant, Frontier, and Spirit have scaled back as low as 28 inches, making your available legroom even more cramped. Of course, these are averages, and you should keep in mind that big airline companies have many different types of planes. Pitch can change when new planes are built or when older ones are refurbished. Bottom line, every inch counts for comfort, especially if you’re making a long-haul run. But there’s an airline you may not have even heard of that offers the most legroom in North America. Interjet is a Mexico-based, low-cost carrier that offers a generous 34 inches of seat pitch (i.e. legroom) on all its planes. However, it may not be convenient for U.S. travelers. Interjet flies to Mexico and Central and South American destinations from only a handful of U.S. cities. Considering well-known airlines that fly most places Americans want to go, JetBlue could be the best choice. With 32 to 34 inches of seat pitch on all its planes and 37 inches on its Even More Space option, JetBlue offers more leg space that any other well-known carrier. Virgin America is another airline that features 32 inches of seat pitch, but that may change since Alaska Airlines purchased VA. Alaska is downgrading its main cabin pitch to 31 inches—pretty much in line with most planes on the three big airlines. flights since seat pitch is likely to be less. Foreign airlines tend to be more generous, with many offering seat pitches of 33-36 inches. If you’re traveling overseas, check out the seat pitch of these international carriers: Air India, Air Tahiti Nui, Asiana, EVA, JAL, Air China, and Turkish Airlines. 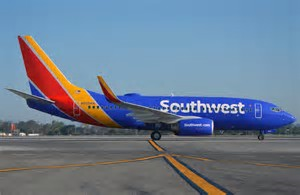 The trend among airlines is to add more seats and subtract more inches from the seat pitch, and that’s not likely to change. The best advice is to put as little as possible under your seat, so you at least have that space to put your feet. I LOVE Interjet! Not only do they have great legroom, they also have one restroom reserved for women only. The seats are comfortable and the service good. Unfortunately, they do not fly everywhere I want to go. At least not yet.